WordPress is certainly the most popular CMS in the world, powering over 30% of the web. It also powers all sorts of websites, from blogs to giant e-commerce stores and everything in between. This includes podcast websites. However, recently I attended Podcast Movement, a fantastic podcasting conference, and discovered that many podcasters struggle with creating their own website. While there are countless tools that will automate the process for you, you’re at the mercy of a platform you don’t own. Still, finding the right tools can be hard. That’s why in this article, I’m going to tell you about 6 killer plugins for your podcast website on WordPress. First, there are 2 really great contenders for actually turning your blog into a podcast website: Seriously Simple Podcasting and Powerpress by Blubrry. I love this plugin because it really is simple. It creates a new post type called “Episodes” and then builds your podcast feed based on that. You can even have “Series,” meaning you can host multiple podcasts from the same WordPress site. Set up for this is fantastically easy. It works really well in conjunction with its hosting solution, Castos. This is actually the one I use for my podcast, How I Built It. It uses native WordPress posts to create the feeds so you need to be a bit more careful if you’re also planning to blog from your site. I recommend creating a separate category for your episodes. Where it makes up for this is in options. You can easily generate a Subscribe widget and page, it offers easy links to list your podcast in multiple directories, and to some extent, customize your player. If you’re willing to spend a little extra time figuring out a more complicated plugin, this is a good one. It also works well with its hosting solution, Blubrry. Most podcast hosts have crummy looking podcast players, or just use the native browser player. While this is OK, there are a couple of options for making the podcast player that fits your brand best. 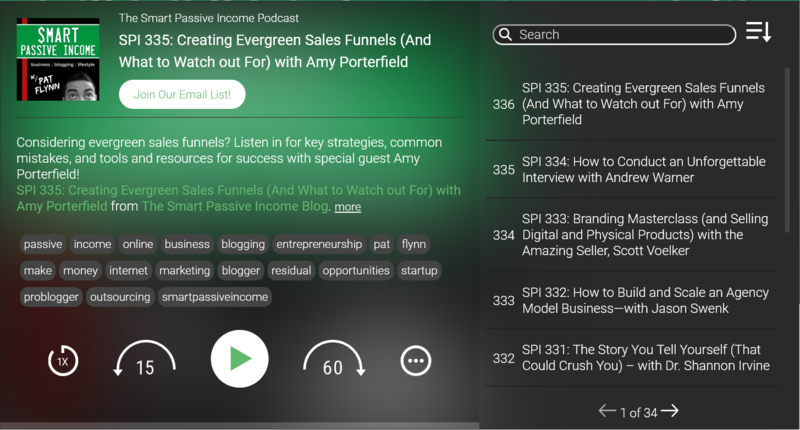 Smart Podcast Player is a popular one, used on websites like Smart Passive Income. It’s a beautiful player that lets you update the colors, background, and even allows you to capture listener emails right in the player. It starts at $8/mo and is great if you want to really engage with your listeners. Perhaps it’s not fair to say SimplePodcastPress is just a podcast player, because it does so much more. But one of the really nice features is that it works with pretty much everything. It’s definitely another one of those tools that helps you increase engagement. Aside from hosts and players, I wanted to mention a couple of good widgets you could add to your site. This plugin does exactly what it says it does – it adds a flexible shortcode and nice widget to your WordPress site. As Heard On is slightly different – it’s a widget that will list podcasts in your widget area that you’ve been on. If you’re doing the podcast circuit or you have multiple shows, this is a great addition to your site. Lots of podcasters use Patreon to generate extra income. A few months ago I made a video on how to lock down posts just for your own patrons. This is a great option of you want to have special patron-only episodes or posts. Want to Build Your Own Podcast Website? I’m working on a new course on how to build your own Podcast Website with WordPress, from start to finish with no steps skipped. Click the button below to get a free ebook on how to launch your podcast, and as a bonus you’ll get a free lesson and a discount when the course is ready. Great resource, I have seen the Smart Podcast Player used on a lot of the top sites on WP and marketing. 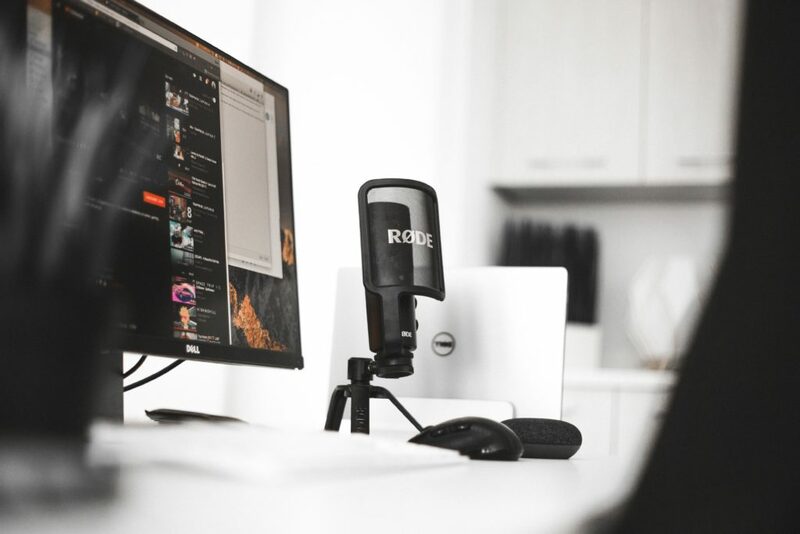 Podcasting is the new way of content marketing, that’s why blogs like smart passive income and problogger using this technique. And thanks for the plugins by the way.